Last week Amy Schmitz (Missouri) sent out a message on this topic on the list serv and I asked if she could morph it into a blog post, which she has kindly done. On October 28, the Department of Education issued final regulations intended to protect student loan borrowers against school closures and fraud. To that end, the rules include significant provisions restricting school arbitration agreements; clarifying student rights to raise school fraud as a defense to loan repayment; providing automatic closed school loan discharges to certain eligible borrowers; and providing new rights for students to obtain false certification loan discharges. See https://www.gpo.gov/fdsys/pkg/FR-2016-11-01/pdf/2016-25448.pdf. Although some provisions are likely to face legal challenge, the rules generally will be effective July 1, 2017. For those in the dispute resolution community, the provisions that may be of most interest are those limiting school arbitration and class-waiver requirements. This came in the wake of some institutions, such as Corinthian Colleges, using class action waivers and arbitration clauses to thwart actions by students for fraudulent and abusive conduct that largely pushed students into financial peril. The new rules prohibit schools participating in the federal student loan program from entering into pre-dispute arbitration agreements with students or agreements that purport to waive students’ rights to bring class actions. These limitations apply to agreements with students who have obtained Federal Direct Loans or benefited from Direct Parent PLUS Loans, and apply to claims regarding the making of the Federal Direct Loan or the provision of educational services for which the loan was obtained. This bars schools from using contract clauses or stand-alone pre-dispute agreements with students that waive students’ right to go to court or to pursue a class action over any claims that could also give rise to a “borrower defense” claim (described more fully in the new rules). The provisions also bar a school from relying on an existing pre-dispute arbitration agreement or other agreement to force an individual or class action out of court. 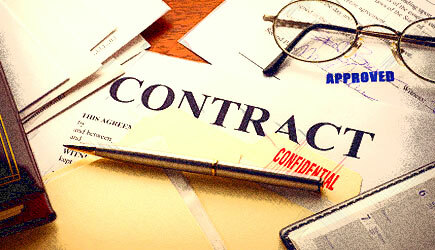 This includes agreements entered into prior to the rule’s effective date. The school must either amend the agreement or notify the students that they will not enforce the agreement. The rules also aim to increase transparency regarding such “borrower defense” related arbitration and litigation. If schools do engage in arbitration proceedings in a manner that is consistent with the regulations and applicable law, the rules require that these schools notify the Secretary of Education and provide disclosures. The rules similarly require that schools disclose such judicial filings and dispositions. The complete provisions are lengthy, and can be reviewed in the PDF linked above from 75926 Federal Register/Vol. 81, No. 211/Tuesday, November 1, 2016/Rules and Regulations. Meanwhile, we wait for the Consumer Financial Protection Bureau (CFPB) to issue final regulations regarding its proposal to prohibit companies from including pre-dispute arbitration clauses in agreements regarding financial products or services that prevent class action lawsuits. The proposal would open up the legal system to consumers so they could file a class action or join a class action when someone else files it. Although the proposal would allow companies to include arbitration clauses in their contracts, it would require that the clauses would have to say explicitly that they cannot be used to stop consumers from being part of a class action in court.